A System Admin for the PC with privilege to uninstall software on that computer must perform all steps. Start/Control Panel to remove existing EasyMatch QC application. In addition, remove the Sentinel Protection Installer by SafeNet, Inc. This is the driver for the HunterLab SuperPro hardware key or dongle. 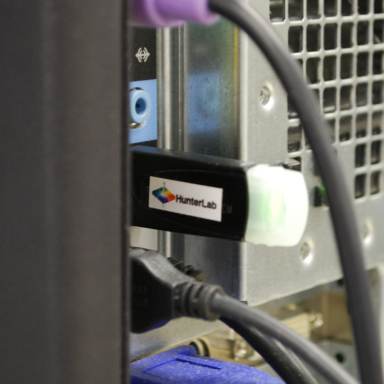 Remove the HunterLab SuperPro license key or dongle from its USB port on the PC. EasyMatch QC has been completely removed from your PC.